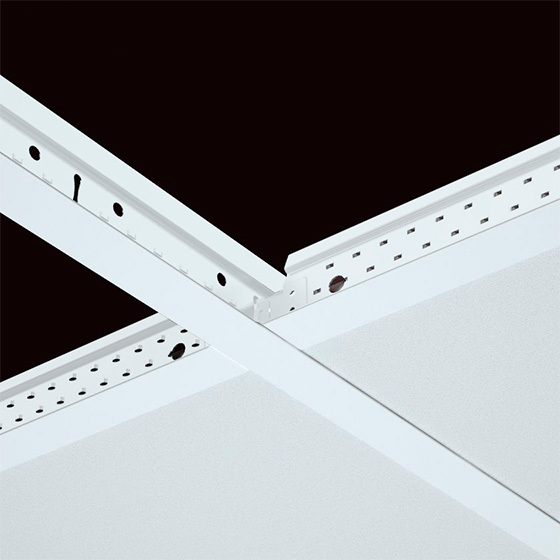 Suspended ceiling substructure components for indoor use. May be used continuously in 100 % relative humidity at a temperature of 30 ˚C. The grid is able to cope with expansion due to heat in a fire and remain flat and stable so that no large caps and cracks appear between grid and tile. Baked polyester paint. Additional paint finish to the reverse of the grid, giving an extra layer of protection to the galvanised steel.